A trailblazer in the field of therapeutic endoscopy and minimally invasive surgery, Robert Hawes, MD believes communication is the foundation to building good patient relationships. In fact, he often refers to these relationships as sacred, and an integral part of building his practice in Orlando. 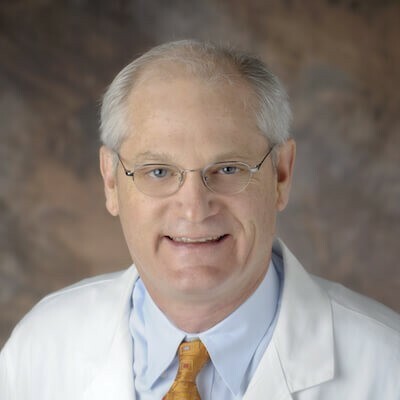 Dr. Hawes is a nationally recognized gastroenterologist, researcher, professor, author, and pioneer of procedures such as ERCP, endoscopic laser therapy and therapeutic endoscopy. He has lectured in over 30 countries and helped to form a committee to develop a new standard in minimally invasive surgery. Recently relocated from South Carolina where he spearheaded an internationally recognized digestive disease center, Dr. Hawes joins the Florida Hospital team to forge a cutting-edge national and international referral center for advanced therapeutic endoscopy. The Center for Interventional Endoscopy (CIE), this state-of-the-art, purpose-built endoscopy unit, is the only facility of its kind in the Southeast US. At the same time, Dr. Hawes will partner with Dr. Steve Eubanks, an internationally recognized minimally invasive surgeon, to establish the Florida Hospital Institute for Minimally Invasive Therapy. By integrating his expertise in both therapeutic endoscopy and minimally invasive surgery techniques, Dr. Hawes introduces better care for our patients through research, education, technology, and procedure improvement.